Population 2011: 1.780, 2001: 2.025, 1981: 2.365, 1961: 3.322, 1928: 5.677, 1828: 4.073, inhabitants. Area per person 103 m² per person. Economy relies mainly agricultural (olives, vegetables). Oldest wide production of tobacco. 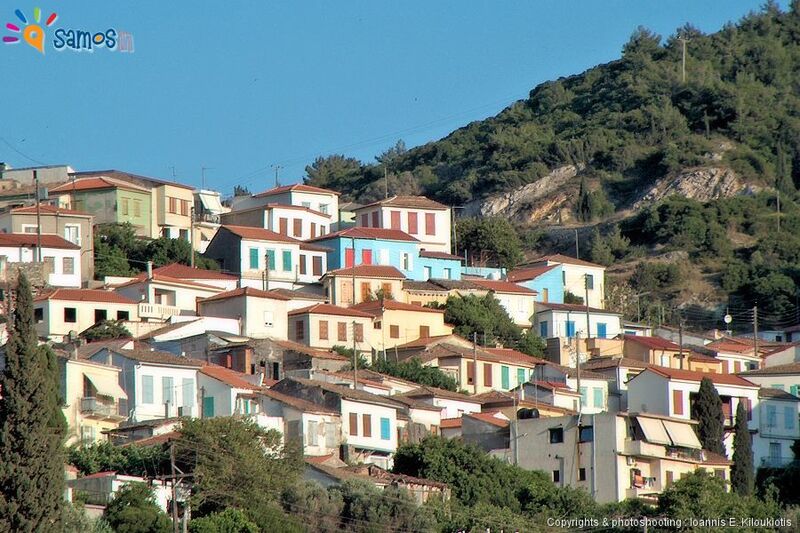 Vathi village (Greek: Βαθύ), formerly Pano Vathi (=up Vathi), located at the north west of the island, among the hills “Koutsomilos” & “Varela”. 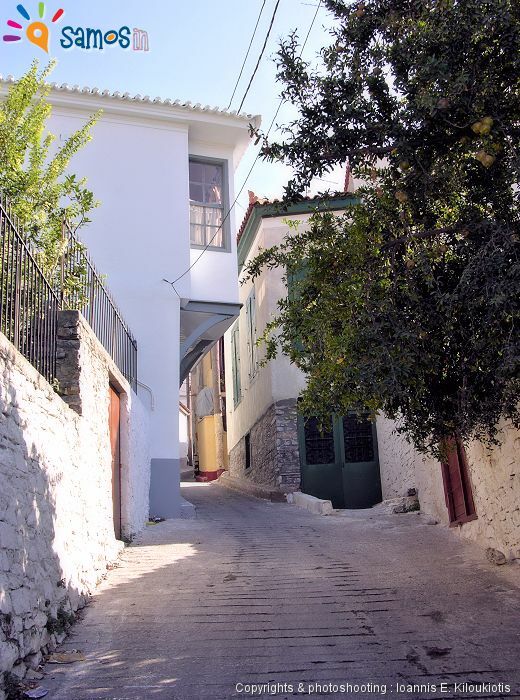 The distances: it’s just next to Samos town (with which are almost united), 11 km from Pythagorio town, 30 Km from Karlovasi town and 43 Km from Marathokampos village. Administratively it belongs to the “municipal unity of Vathi”. 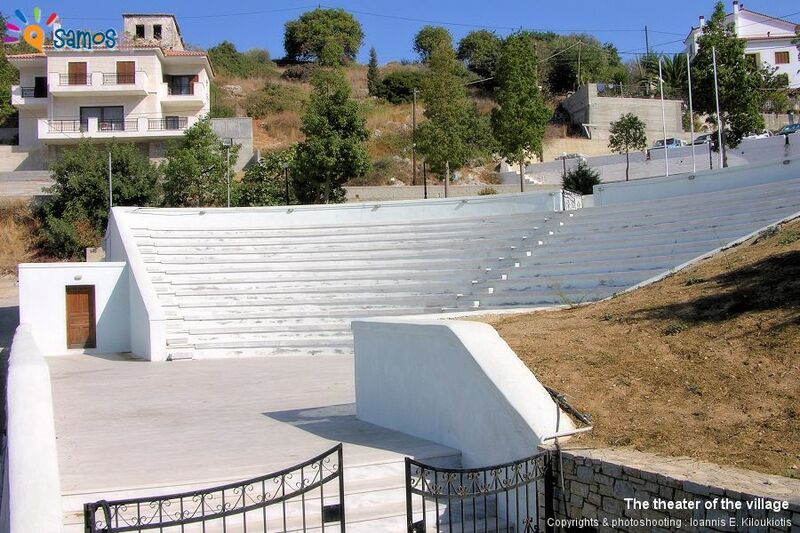 It’s built on downhill ground with beautiful view to the sea. 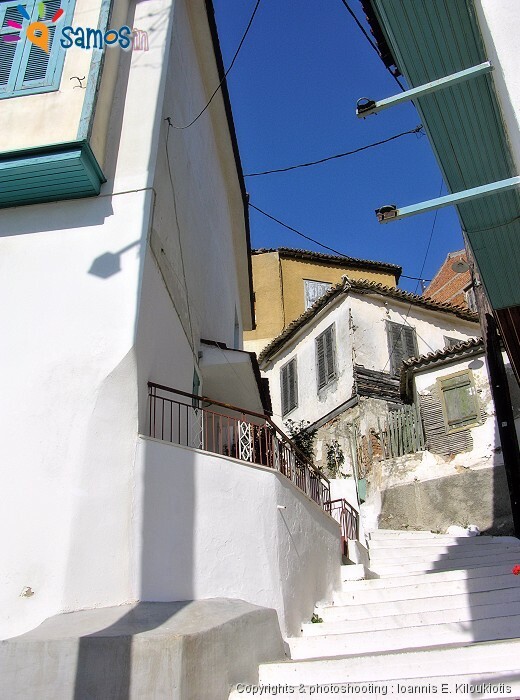 Its houses are close to each other, separated by narrow maze-like streets, a characteristic more intense than any other Samian village, which gives a very beautiful picturesque character. 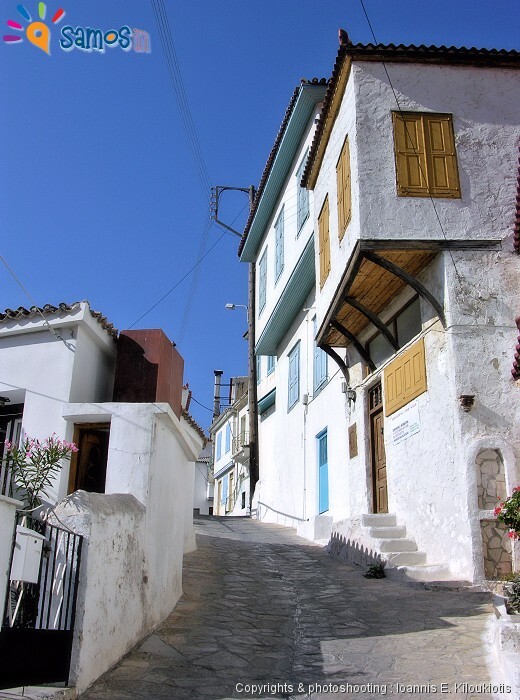 The village preserves elements of local traditional architecture and has been declared a traditional settlement, with many restrictions on repairing or building of new houses . 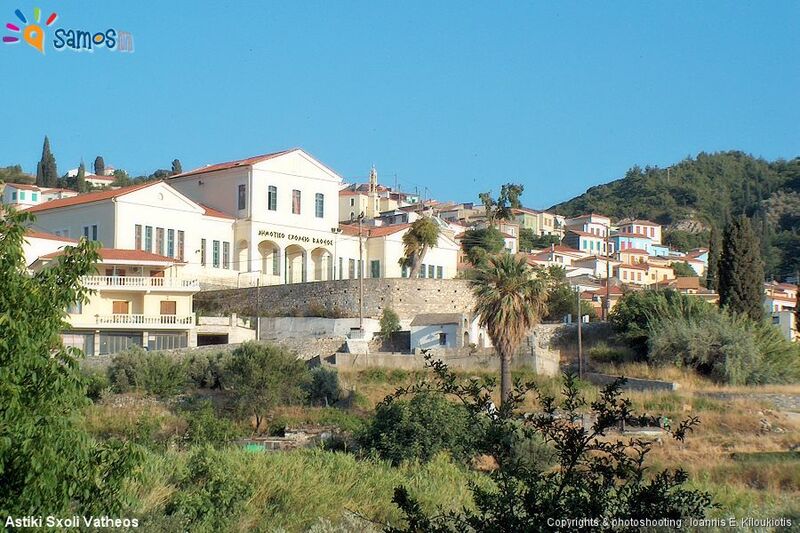 Vathi is considered of the oldest villages in Samos island. 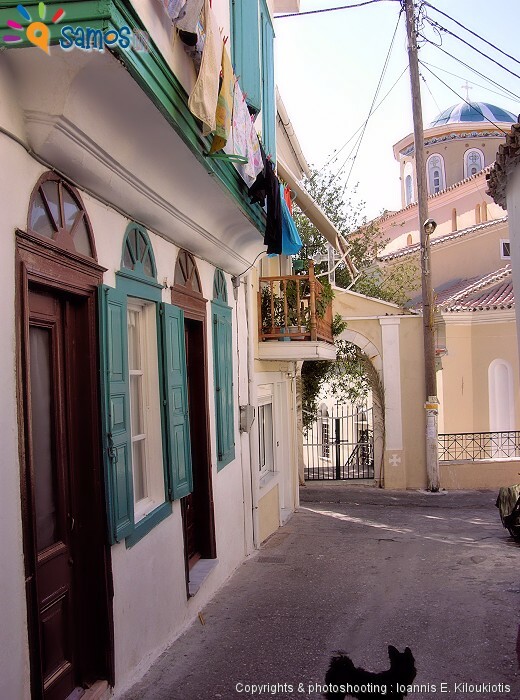 According to author E.Kritikides, its building started about 1550, at first by descendants of Samians, who had gone to Chios, against the abandonment of the island (15th century) and returned, later came and Peloponnesians refugees also. 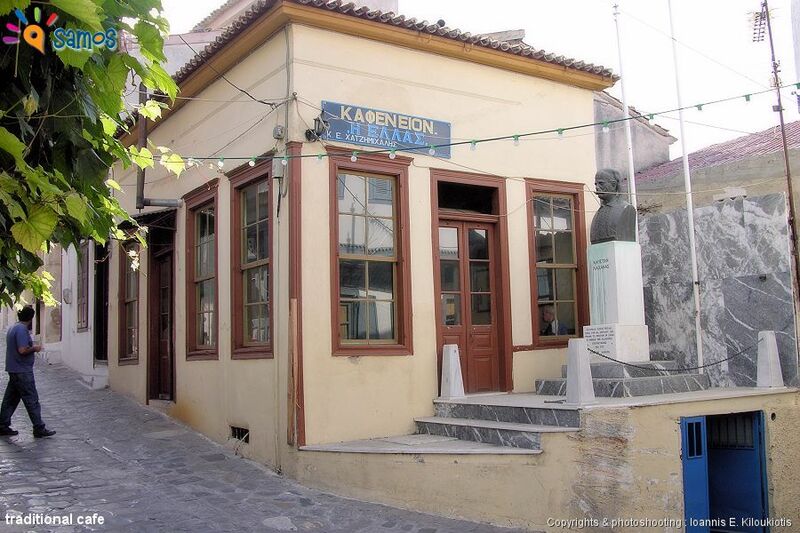 Firstly built the district of “Chiotika” (=from Chios) from Samians that came from Chios and then the district “Moraitochori” (which still exists) from Peloponnesian refugees. Both hidden behind hills at difficult to access areas (for pirates) which later expanded. The area at that time was very wooded and leafy which used to hide the houses from the invading pirates. It’s also reported that the forest was burned by the inhabitants themselves, to deprive from the Turks of wood suitable for shipbuilding. 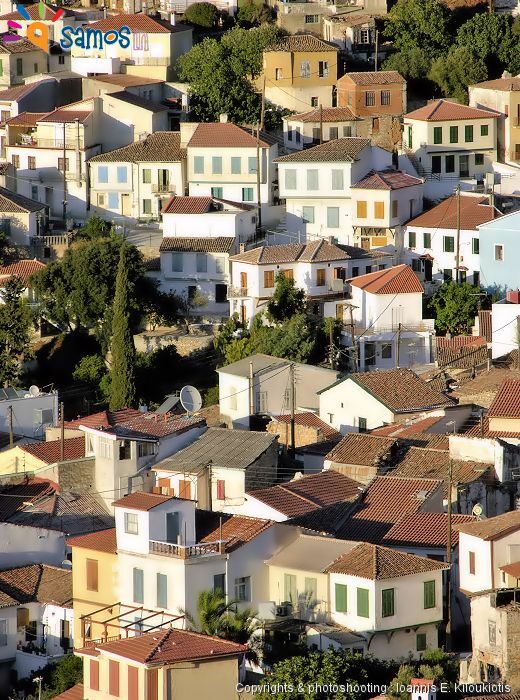 The village name “Vathi”, in Greek means “deep” and probably originated from the fact that the village is built at the “depth” (end) of the homonymous gulf. 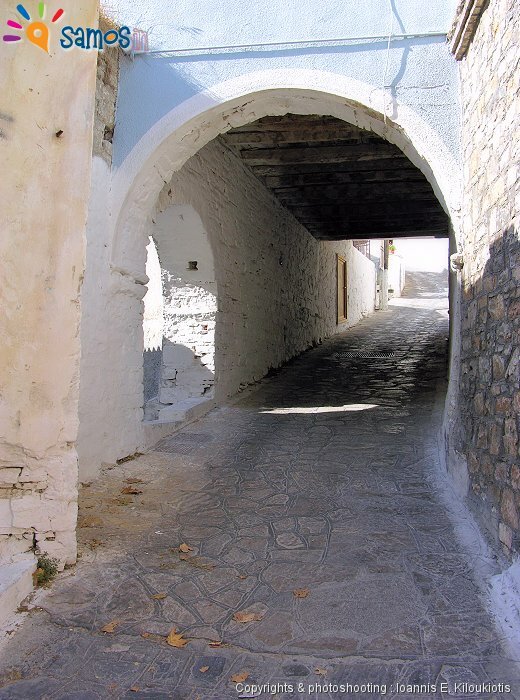 The village had a strong economic activity, since at the area 106 workshops, 4 olive presses, 6 windmills were operating. It used to have 6 parishes and 4,073 residents living in 926 houses (census 1828). The continued development of the village was confirmed by the census of 1928 when the number of residents reached the 5,677. 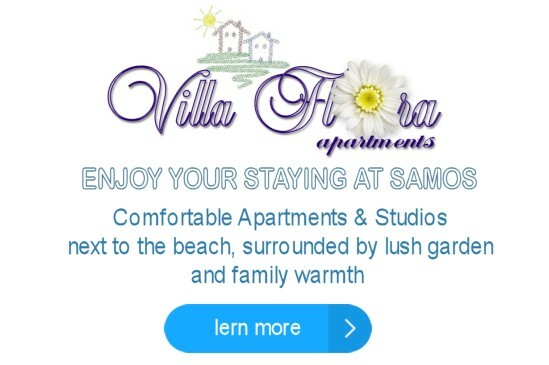 Fourteen settlements belong to Vathi village, Varela settlement at 2 Km south-east from the village with 106 inhabitants, “Drosia” 3 Km south-east from village, with 66 inhabitants, “Zervou” 4 Km south-west from village, with 34 inhabitants, “Zoodohos Pigi” 7,5 Km north-east from village, with 6 inhabitants, “Kamara” 4,5 Km north-east from village, with 259 inhabitants, “Kedros” 6,5 Km at the sea side, north-west from village, with 105 inhabitants, “Koumarionas” 2 Km at the west of the village, with 109 inhabitants, “Mesokampos” 6 Km at the south-west from village, with 109 inhabitants, “Moraitochori” 1,5 Km at the south-west from village, with 30 inhabitants, “Nikola” 3 Km at the east from village, with 145 inhabitants, “Panaitsa” 2,5 Km at the north-east from village, with 19 inhabitants, “Platanos” 4,5 Km at the south-west from village, with 23 inhabitants, “Tourkomilonas” 8,5 Km at the south from village, with 16 inhabitants and “Floka” 3,5 Km at the north-west from village, with 21 inhabitants. Wander through the picturesque and hilly streets, drink coffee at traditional cafes. 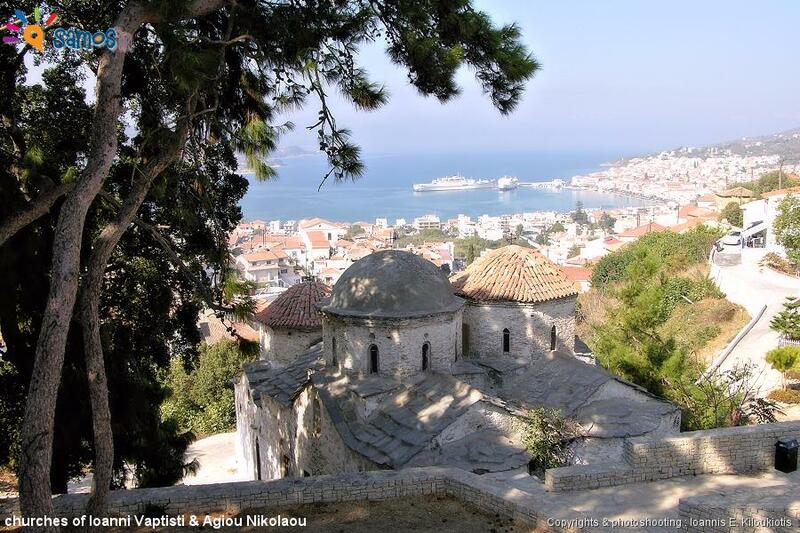 Visit the monasteries of Agia Zoni (4,5 km north-east) and Zoodochos Pigis (7,5 km north-east). 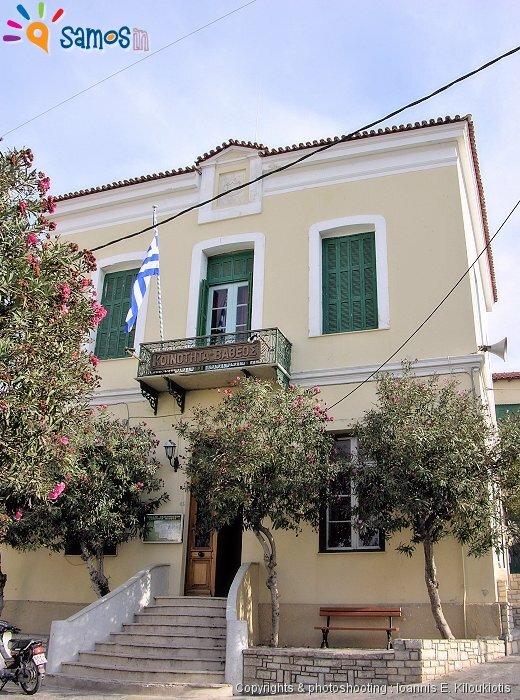 Admire the stunning architecture, neoclassical building, of “Astiki Sxoli Vatheos” (=Urban School Vathi, today primary school of Vathi), build at 1901 by the hegemonic government. 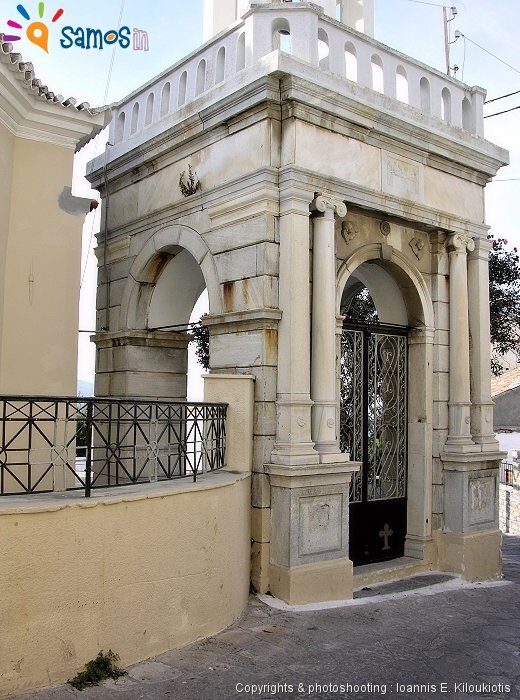 On top of the village, with beautiful view to Samos town and to the bay, located the churches of Ioanni Vaptisti (John the Baptist) and Agiou Nikolaou. This two-aisled church with four domes, built in 1799 by monk Joachim.